Have you ever participated in polls on a website? Yes/No? Have you created polls yourself? Yes/No? How about building today a web app allowing to create users their own polls and participate in them?! Yes/No? All that will take only six iterations! Cool? Then let’s get started! Working demo can be found at http://sitepoint-poller.herokuapp.com. We are going to have many polls created by different users with an unlimited number of voting options. 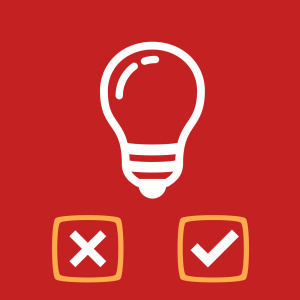 Creating a single table to hold both poll topics and the list of possible options is not prudent because each user can only vote once. Moreover, the option each user chooses will also be recorded to count the total number of votes. As such, a relationship between voting option and user will exist. Don’t forget to run bundle install! We are using yield :page_header to display page headers without the need to copy and paste those div and h1 tags every time. The ground work is done and we are ready to move on to the meat of the article. Stop for a second and take a look at what’ve done so far. We have some controller methods and a couple of views to list and create new polls. However, we have no page to create vote options for a specific poll. Should a separate controller and a view be created for that purpose? Suppose you need ten vote options, would you want to submit the form ten times? Creating vote options along with creation of a poll is much better. This can be achieved by employing Rails’ nested attributes to allow saving attributes of associated records through the parent. :reject_if => :all_blank raises an error and rejects saving the poll if it has no vote options. an Edit poll page, which we will create shortly). jquery-turbolinks should be added only if you are using Turbolinks. It brings the default jQuery document.ready event back to the page load. Permitting :_destroy is required only if you wish to allow destroying vote options via nested attributes. fields_for helper method is used to build a nested form and vote_option_fields is the partial that we’re going to create shortly. There are plenty of other options that can be passed to this helper. A wrapper with the nested-fields class is required here. link_to_remove_association is yet another Cocoon helper to render a link that removes the nested form. When the parent form is submitted, the corresponding record is also being deleted (provided that you’ve specified :allow_destroy => true for the accepts_nested_attributes_for method earlier and permitted _destroy attribute in the controller). Boot up your server and try to create a poll and some related options. Seems pretty easy, eh? We have to tie up some loose ends at this point. Specifically, the index page does not display the list of created polls and there is no way to edit or destroy polls. This can be easily fixed. At this point, the polls are done. It’s time to implement the core functionality: authentication and the actual voting. Let’s allow users to authenticate via Facebook. To do that, we will need a Facebook strategy for OmniAuth, which I’ve described in one of my previous posts. Next navigate to the “Status and Review” tab and make your application active (this makes it available for everyone, FYI). Return to the “Dashboard” and notice the “App ID” and “App Secret” – those are the keys you are looking for. Add the to the OmniAuth initializer. The uid will be used frequently to find users, so it is a good idea to make this field indexed. The /auth/:provider/callback route is where the user will be redirected after a successful authentication (along with the authentication hash containing user’s data). request.env['omniauth.auth'] contains the user’s data sent by Facebook. The from_omniauth method fetches and stores the user data. As you can see, nothing fancy is going on in this controller. helper_method ensures that current_user can be used in views as well. Please sign in via <%= link_to 'Facebook', '/auth/facebook' %> to participate in this poll. The authentication system is ready and it is high time to start crafting voting functionality. As we discussed earlier, a relationship between user and vote options must be set to track which user chose which option. Every user may vote for many options (however he cannot vote for multiple options that belong to the same poll) and each option may be chosen by many users. Therefore, we need a many-to-many relationship with an intermediate table (direct many-to-many relation could be used as well, but it is not as flexible). This will create a clustered index that enforces uniqueness for the combination of vote_option_id and user_id. Obviously, there can’t be multiple votes by the same user for the same option. The actual voting form is taken to a separate partial – this will come in handy soon. Here we use the nonexistent votes_path route to create a new vote. This form will be sent asynchronously. The voted_for? method checks whether a user has already participated in the specified poll – it will be created shortly. content_tag wraps the radio button and option’s title with the label tag. The radio button is not shown if the user has already participated in the poll. and flush this cache each time the user participates in a poll. Here, replace the old voting form with a new one using the previously created partial. Let’s add some visualization for our polls. Currently the show page is lacking an important piece: It does not show how many users voted for each option. by Bootstrap and were originally intended to display progress bars, but I think we can employ them in this case as well. First of all, check that the summary votes count is not zero (votes_summary is yet another method that will be introduced shortly) – without this check we may get a division by zero error. So, if there are no votes for any option of the poll, just return zero. Otherwise, check how many votes were given for the specified option by using ActiveRecord’s count method. This result is divided by the total number of votes and then multiplied by 100 to convert it to percent. Please note that option.votes.count should be also converted to float using to_f. Otherwise, the result of the division will always be an integer. Here, inject is used to accumulate the values (0 here means that the initial value is zero; summary is the accumulator). Once again, you could use model caching to improve performance. Before moving on, I should warn you about a small catch. If you start the server and try to vote in a poll, the votes count is updated but the Vote button remains. Refresh the page and the Vote button will be replaced with the “You have already voted” text. This happens because Rails cached the association in the voted_for? method. When the _voting_form partial is rendered again, this method provides the previous result (false), even if a new vote was actually created. There are at least three possible solutions to this problem. This way we are directly specifying the intermediate model and Rails will instantly know that there was a new vote created. If you know other solutions to this problem, please share them in the comments. You may have noticed that option.votes.count is used in a couple of methods. How about adding a counter cache to improve this query? One of the possible ways to solve this is by using the counter_culture gem created Magnus von Koeller. Now, the counter cache for votes count will be created and managed automatically. Cool, isn’t it? The counter_culture gem can be used in more complex scenarios and has a bunch of options, so check out its documentation. required: "Please select one of the options." focusInvalid means that the first invalid field should not be focused (because we have many radio boxes and only one of them should be selected). errorClass specifies the CSS class to assign to the error message. errorElement sets the wrapper for the error message box and errorPlacement provides a function to call before placing the error message. I want it to be placed before the form, so I use jQuery’s before method is here (error contains the actual error message element). rules takes an object with validation rules. As long as we want to ensure that only one of the radio boxes is checked, use vote_option[id] (this is the name of radio boxes). messages, in turn, is used to set custom error messages for the rules provided. At this point you may check how validation is working by simply trying to submit a form with no radio boxes checked. Awesome! We are done with the core functionality. Users may participate in polls and check statistics. The last thing to do is create the user’s profile page to show the polls in which they participated. This can be done in three simple steps: create the controller, create the view, and add a new route. Boot up your server and check it out! While building this Poller app, we discussed nested_attributes, the Cocoon gem, had a look at normalizing votes count, and discussed some caching issues, like model caching and using the counter_culture gem. Also, we looked at the jQuery Validate plugin and some fancy Bootstrap’s styles. I guess this is enough for today! Of course, this app may be improved by adding more caching, an ability to re-vote or cancel a vote, styling it a bit more, etc. Feel free to clone my repo with the demo code and experiment with it! Hope you found this article useful and interesting (should I create a poll to find that out?). Thank you for staying with me till the end and see you soon!